Celebrate the holiday season at Chili's with a special offer every day from now until December 24. 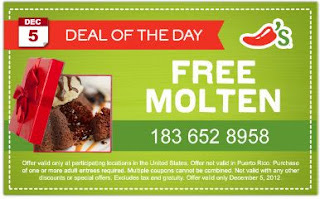 Just print your coupon, head to Chili's, and enjoy. * Happy Holidaily from all of us!